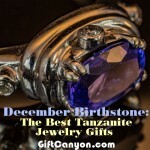 The birthstone of February is the amethyst. 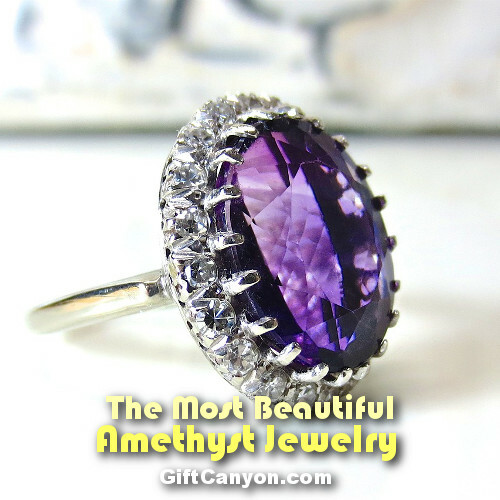 Aside from being the February birthstone, amethyst is regarded to be one of the most precious gemstones that are often favored by royalty or exclusivity in ancient times. Leonard da Vinci also said that amethyst helps to quicken intelligence and get rid of evil thoughts. 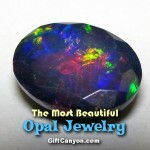 Other qualities like peace, stability, courage and strength are said to be derived from this gemstone. 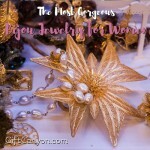 Check out these fine pieces to complete your amethyst jewelry set. This modern halo design stud earrings is definitely stunning. It features a sparkling round simulated light amethyst & brilliant simulated diamonds. These sparkling stones are professionally set in halo design heavy post settings with secure butterfly fastenings. All crafted from 14K solid yellow gold. 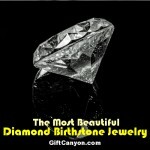 The diamond is guaranteed with a lifetime warranty. This means that if anything happens to a piece of diamond, it will be replaced for free. These earrings will make a perfect gift for a loved one, or make a great addition to your gold jewelry collection. This beautiful trillion cut amethyst earrings with lever back as closure is hallmarked and gift ready. Its amethyst measures 6mm each with a total weight of 2cts and is made of solid sterling silver. 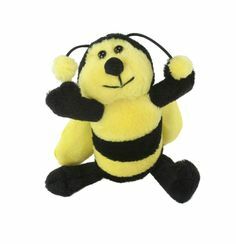 This model also comes with a matching pendant and ring. This beautiful necklace comes with an amethyst birthstone pendant that features a genuine, light purple, amethyst gemstone. 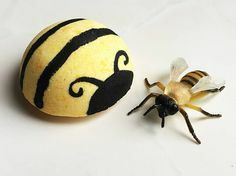 It is a handmade item that has a minimalist style and design. Its material is made of silver. Its pendant height and width are both 8 millimeters. The stone is hand-set in polished 925 sterling silver in basket setting with a bezel frame. 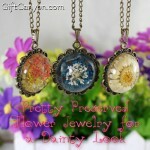 For the perfect look, this comes in a gemstone garden gift box ready for giving. 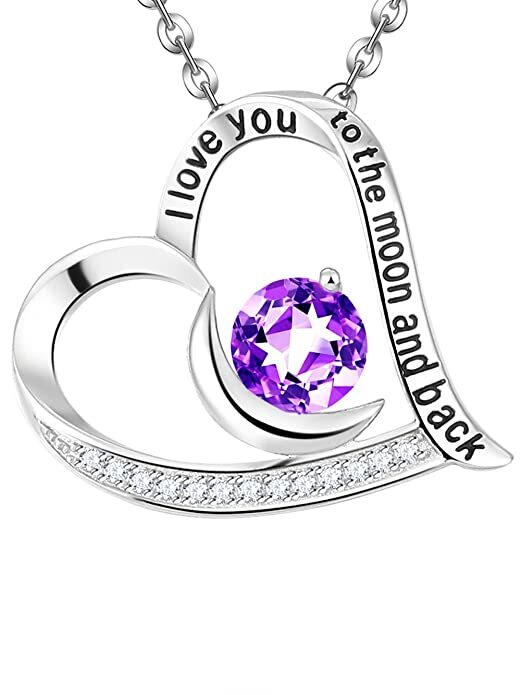 This amethyst heart and moon necklace engraved with “I love you to the moon and back” is made of 18k white gold over sterling silver pendant with 18 inch rolo chain and has an adjustable 1 inch to 2 inches necklace extender. 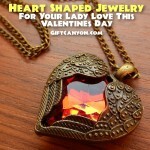 This is one beautiful piece a woman can receive. 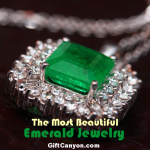 Its gemstone is genuine with an elegant design that fits any woman’s fashion statement. 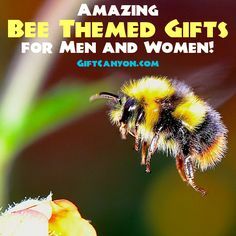 This comes with a fine gift box that can be a perfect gift whenever, whoever and whatever special occasion that will come. This striking gemstone ring crafted in 14k gold filling is made up of laboratory grown amethyst. 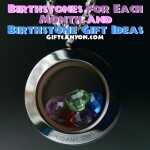 It has a faceted gemstone cut with a size of 7-10 and 2.25mm in a pear or round shape design. 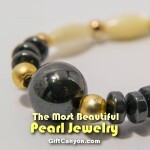 Its 14k gold filled is tarnish resistant and nickel free at the same time. 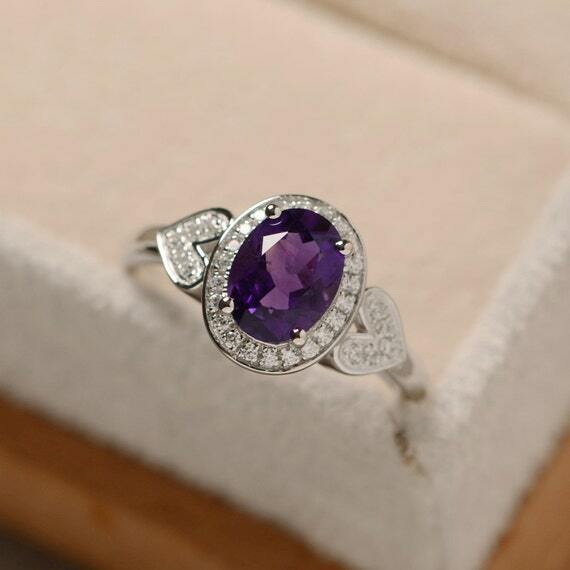 This ring features a 6 x 8 mm oval cut natural amethyst and is crafted on sterling silver finished with rhodium. Customization is also available as it can also be made with 14k solid gold (white, yellow or rose) with diamond accent stone as well. 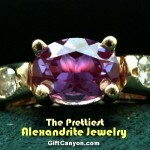 Its main stone is natural amethyst that approximately weighs 1.25 ct with cubic zirconia accent stones on its side. This ring is proudly made by hand and will take about 7 days to finish the ring after payment has been made. 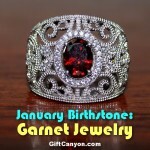 This elegant bangle bracelet is the perfect piece for February celebrants or for any special occasion. This bangle is crafted in 925 sterling silver and comes with 2 pieces natural heart shaped amethyst weighing a total of 2.09 carats in prongs settings. 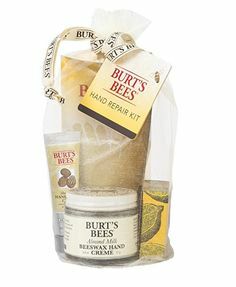 It measures 2.3 in diameters and 0.35 in width and is packed in a deluxe bracelet box ready for gift giving. 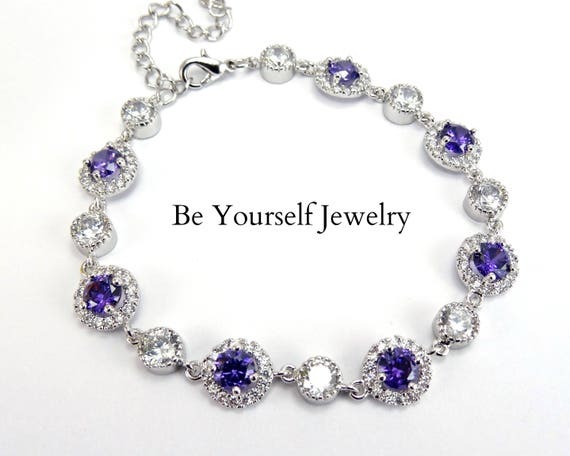 This stunning and elegant purple bracelet is made with high quality cubic zirconia that is a wonderful accessory for special occasions such as weddings, birthdays, anniversaries and other milestone celebration. The cubic zirconia components are in white and amethyst and is crafted in luster rhodium plated. 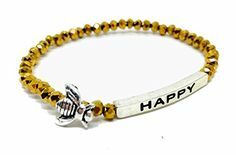 The good thing is that this bracelet is hypoallergenic, tarnish resistant and most of all is delivered to you in a very nice jewelry box. 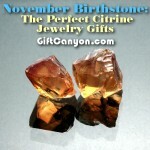 November Birthstone: The Perfect Citrine Jewelry Gifts!